Depending on the use case, it may be advantageous to use the -d to discretize the color table into intervals. This module depends on Matplotlib which needs to be installed on your computer. Use your Python package manager (e.g. pip) or distribution package manager to install it. 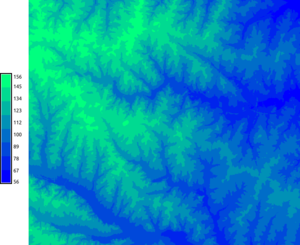 The selection of color tables depends on the Matplotlib version. 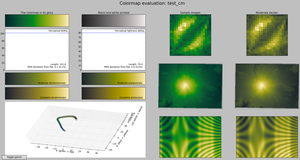 Note that the perceptually uniform sequential color tables, namely viridis, inferno, plasma, and magma, are available in Matplotlib 1.5 and above. Color tables are called color maps (or colormaps) in Matplotlib and the best overview of available color maps in the colormaps_reference example in Matplotlib documentation. Convert summer color table to GRASS color table rules format. If we don't specify output file, it is printed to standard output. 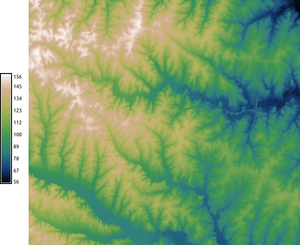 We set number of colors to 2 because that's enough for this given color table (it has one color at the beginning and one at the end and linear interpolation can be used for the values in between). In case we want to use discrete color table with intervals with given constant color, we use the -d flag and the number of colors is now the number of intervals, so we want to make it higher, 5 in this case. Now we set several different color tables for the elevation raster map from the North Carolina sample dataset. We use continuous and discrete color tables (gradients). 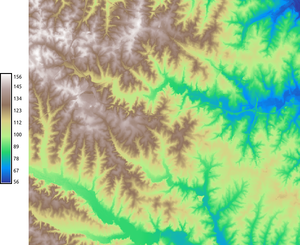 The color tables ae stretched to fit the raster map range. 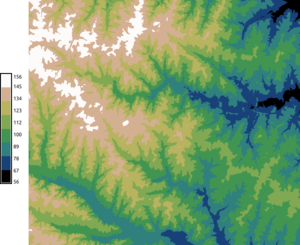 summer, winter, autumn, cubehelix, and terrain color tables applied to elevation raster from the North Carolina sample dataset. winter and cubehelix are set to be discrete instead of continuous. 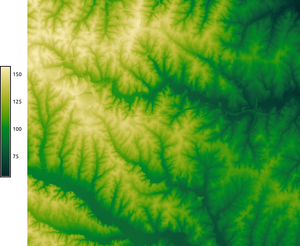 Color table for 3D raster map can be set in the same way. 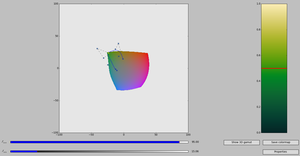 Editing color table in viscm (right): the yellow dot on the blue spline must stay in the colored area as the red line moves. Reviewing color table properties is done using several displays including color blindness simulations. A color table from viscm applied to elevation raster from the North Carolina sample dataset. The same works for any Python files which follow the same schema, so it works for example with files from the BIDS/colormap repository.